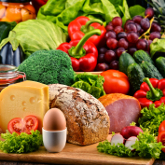 Eating fresh fruit and vegetables is one of the huge benefits of an organic gardener's diet. Plus you know you're not eating unnecessary and potentially toxic chemicals. This principle is often followed through when buying meat and other products. We’re thrilled to let you know that we’re increasing frequency of The Organic Way to three times a year - spring, summer and autumn/winter. 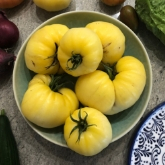 We’re thrilled to announce that one of the popular varieties from our Heritage Seed Library, the ‘Sutton’ tomato, is now available to buy as plug plants from The Organic Gardening Catalogue. 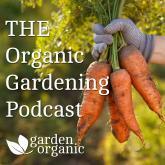 Get listening to the new Garden Organic podcast! 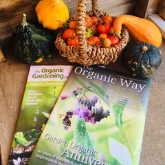 A monthly programme to give you inspirational tips, advice and interviews on organic growing. 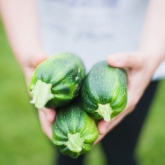 Garden Organic's Sustainable Communities Team have been commissioned by Homes for Haringey to work with five sheltered housing sites. 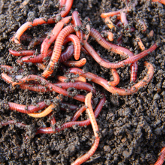 Despite the cold snap at the end of January, Chris has still been down to his allotment, checking on his compost heap, in preparation for the new season. 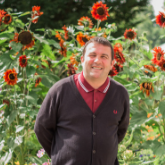 Chris has already started to look ahead to March and will be sowing an array of hardy annuals on all the spare soil of the allotment that is not growing food. 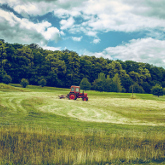 We know that sourcing peat for use in growing mediums (such as bagged composts) is environmentally unsustainable. So far, the horticulture retailers have dragged their feet in endorsing alternatives. All the while peat bogs with their sensitive ecosystems and wildlife habitats are being irreversibly cut. And lost. 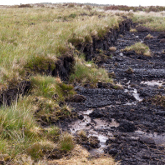 Over 95% of the UK's peat bogs have already gone. 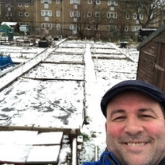 One man and his organic plot is back for another year and Chris is keen to get back down the allotment and get going on this seasons growing. He's looking forward to the year ahead and we'll be following him and updating you on his organic growing journey.